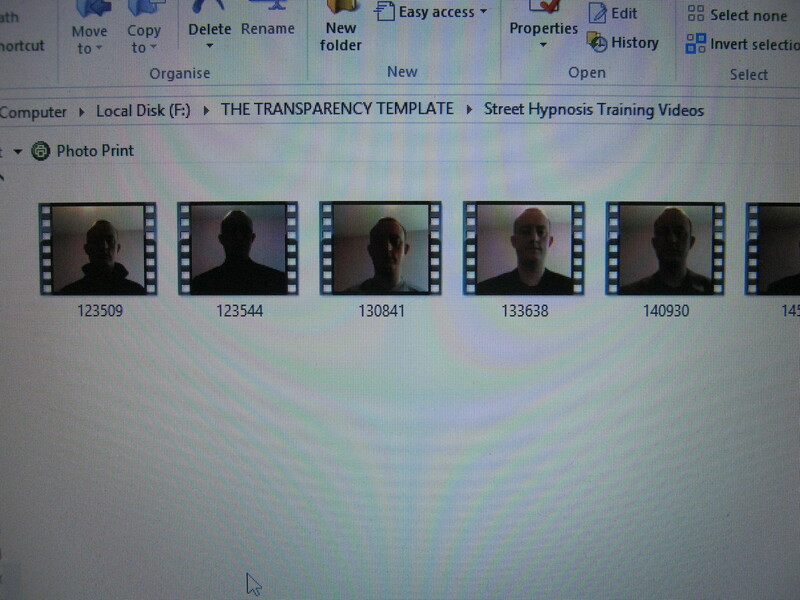 THE REAL DANGERS OF STAGE HYPNOSIS & STREET HYPNOTISM – (Plus Thoughts on The Flex5 Hypnosis System from Promystic, Induction 2 DVD set by Spidey, I Create as I Speak by Lewis Le Val, Products by Head Hacking & Anthony Jacquin including The Manchurian Approach) And The Sad and DANGEROUS State of MOST Stage & Street Hypnosis Training Products Today! Secrets of Stage Hypnosis, Street Hypnotism & Hypnotherapy. The reason that I’ve asked you to look at those two photos and then suggested that you do yourself a huge favour and pop over to the link of http://www.elitehypnosisbootcamp.com/freebook/ and grab your Three 100% FREE PDF Professional Hypnosis Training Manuals is quite simply to illustrate that I AM NOT posting this blog to try and make money or to try and sell more of my own products. 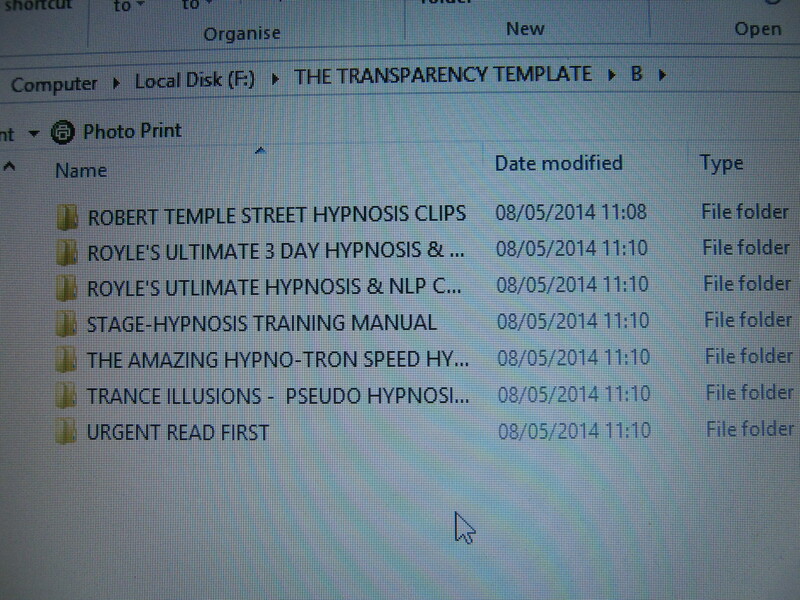 Rather it is my Honest and Sincere Motivation & Intention by posting this blog and circulating the link to attempt to MAKE THE WORLD OF STAGE HYPNOSIS & STREET HYPNOTISM SAFER THAN IT IS NOW. 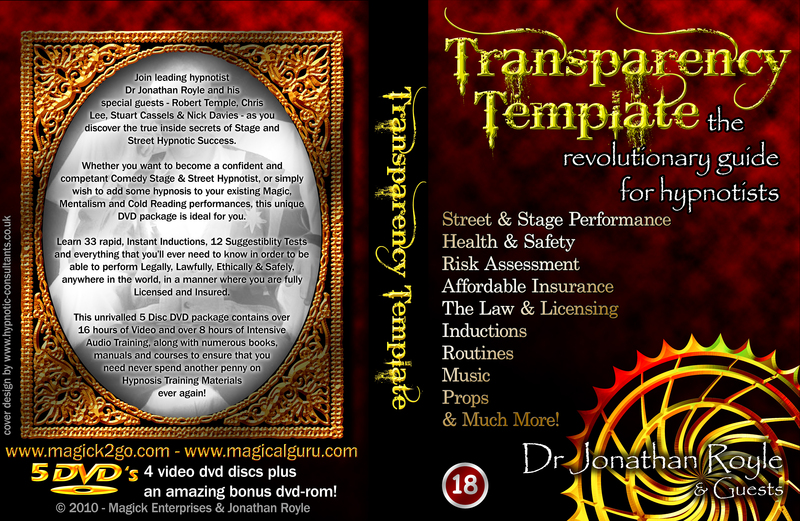 You see, the thing is over the past ten years or so there has been a massive increase in the amount of Books, DVDS and Courses teaching Stage Hypnosis and Street Hypnotism, especially those aimed at the marketplace of often very young Magicians and Mentalists. 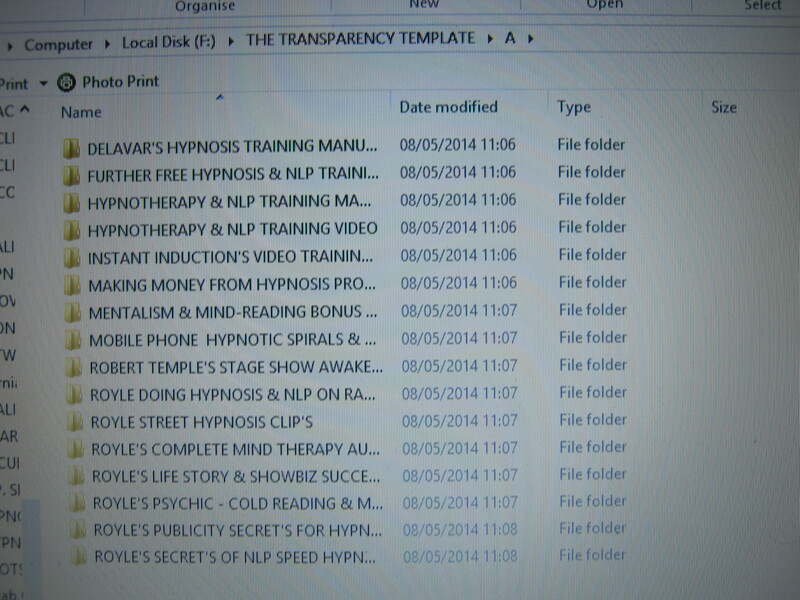 The major problem is that a large amount of these have been released (especially those on Street Hypnosis) by people who frankly have only been doing “Entertainment Hypnosis” for five minutes and to be brutally honest who don’t really know what they are doing or what they are talking about. It’s like the Blind leading the Blind…. Having seen the originals of both products when they were released I can honestly state that they DO NOT on any level contain enough information to make the student SAFE & COMPETENT as a Hypnotist! OF CARE TO THOSE WHO PURCHASE THEIR PRODUCTS…. 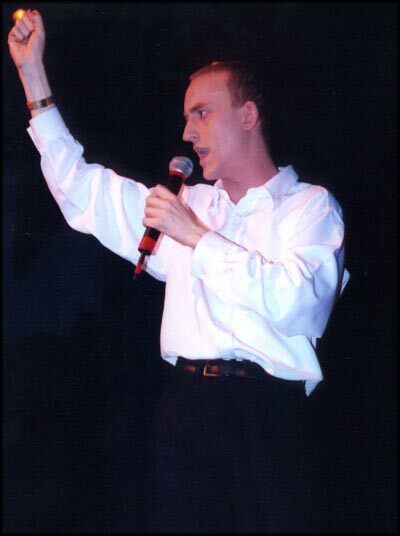 ROYLE HYPNOTIST – WORLD LEADER IN HYPNOSIS FOR 25+ YEARS. If I were to mention every single product by name we’d be here forever, so to save some time, I’ll mention just a few that were clearly lacking in their duty of care at the time of release and which it could be argued are still lacking in their duty of care in some manners! Recently Craig Filicetti of the Electronic Mentalism Supply Company ProMystic has released a “No Fail” Hypnosis Product entitled as “The Flex5 System” which features himself and his Hypnotist colleague Michael Swenson. 1) The laws, regulations and licensing (where relevant) issues for Stage & Street Hypnotists around the world including the places where it is Illegal and banned etc?? 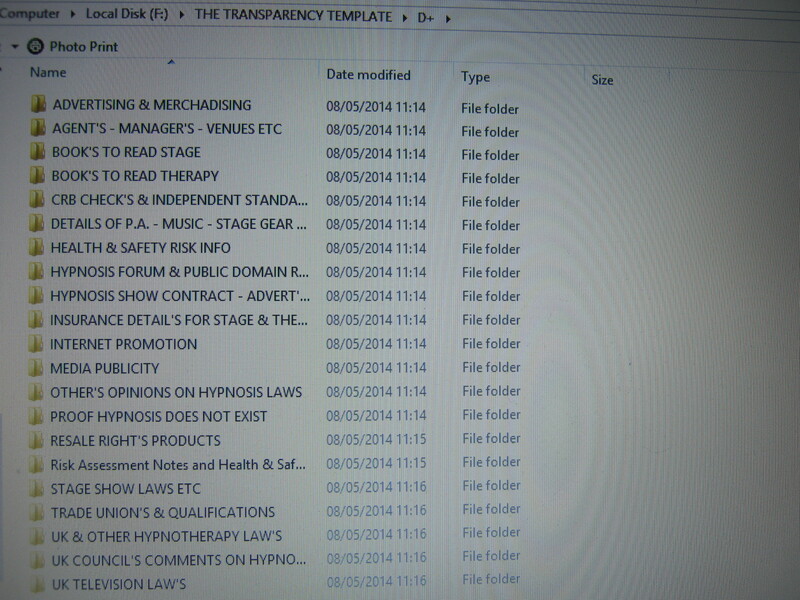 2) The Health and Safety Regulations and Laws in various Countries and how these affect a Stage Hypnotist? 4) The issue of Insurance cover and how it can so easily be invalidated if you don’t do things to the letter, plus fact most performers insurance does NOT cover Stage Hypnosis..
5) The relevance of Duty of Care Laws and how they apply to a Stage Hypnotist in terms of avoiding potenital legal claims for negligence and/or Psychological and/or physical damage? Yes that’s right, I simply (as a customer who had paid and ordered the product) asked the above questions in the Promystic Facebook Group and the result was, THAT I WAS BANNED FROM THE GROUP and also that my money was refunded and order for the product cancelled. I have decided to refund your order while my legal team reviews any issue in shipping this product to your country. Sorry for any inconvenience and certainly let me know if your money has not been returned. BELOW IS A COPY OF THE EXACT EMAIL I SENT BACK. of duty of care in the production/supply of a product. people doing Hypnosis could face in various parts of the world. 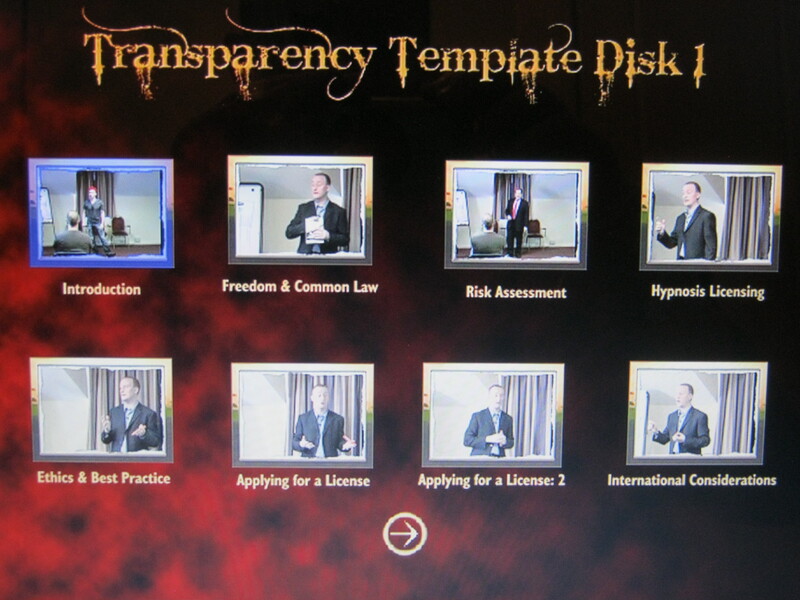 If you have any doubt about the contents of your product, I can strongly advise you from past personal experience that the vast majority of Lawyers know little to nothing about the laws as they apply to Hypnosis, Teaching Hypnosis and Performing Hypnosis. should you wish such feedback a review copy would be appreciated. is Duty of Care and Negligence laws that are of concern to you. This duty includes a duty to make the product reasonably safe for use and to provide warnings about any dangers the product has. FACT: Any Product Teaching Hypnosis in any manner has various Very Real dangers due the very real dangers of what can occur to people both Physically and/or Psychologically when they are Hypnotized, and any experienced and safe Hypnosis Professional should be aware of these things and thus should be expected in law to pass on such knowledge and relevant warnings to anyone they teach such techniques to. FACT: Also any Hypnosis Product has the real danger of potentially dropping the person who has studied it into Legal Hot water if they are not made sufficently aware that many Countries around the world have direct Laws relating to the performance and use of Hypnosis, and many other places have general laws that although do not directly state Hypnosis, indeed do still apply in such cases as people trying to use the techniques they have learnt on the street and such like. SUGGESTION: Whilst I personally find it bizarre for anyone who performs Hypnosis not to be aware of all these potential dangers, it is arguable that such could be excused on the groundsthat they were not taught correctly and so honestly themselves are not aware of the dangers. HOWEVER anyone professing to teach such techniques to others really has NO EXCUSE and truly should have done their research and know their subject sufficently to be able to claim to teach others competently, safely and completely. In that regards at THE VERY VERY LEAST it is my opinion (and the laws seem to back me upon this) that any Hypnosis Training Product, if not going into great depth about the potential Physical and Psychological Dangers and Laws, should at the VERY LEAST Make it very clear to the viewer/reader/student that there are VERY REAL potential dangers of both a Physical and psychological nature connected to the performance of Hypnosis, and that in various places around the world there are both direct (mention hypnosis) and indirect (dont mention hypnosis but do apply) laws that are relevant to the performance and/oruse of hypnosis. And despite what so many Magicians and Mentalists who add just a bit of hypnosis to their acts think, these all do apply to them as well, just as the various laws about Stage Hypnosis DO indeed apply to those who do bits of Hypnosis on the street. So at the VERY LEAST you should be making mention of Abreactions, The Physcial and Psychological Dangers and Legal issues and GIVING ADVICE of where the viewer/reader/student can and SHOULD research and study further BEFORE they try out Hypnosis on any member of the general public. Indeed also making them aware that not researching such dangers and laws fully for the location they intend to perform in could (and usually will) invalidate any Public Liabilty insurance Cover they have, which of course they need to ensure clearly states covers them for placing people into Trance as most policys DO NOT cover this. In regards to What Resource would you be wise to Advise people to study in order that they are fully knowledgeable about the Potential Dangers, Legal Issues and abiding by Health & Safety and Negligence (Duty of Care) Laws as they apply to the performance of Hypnosis. 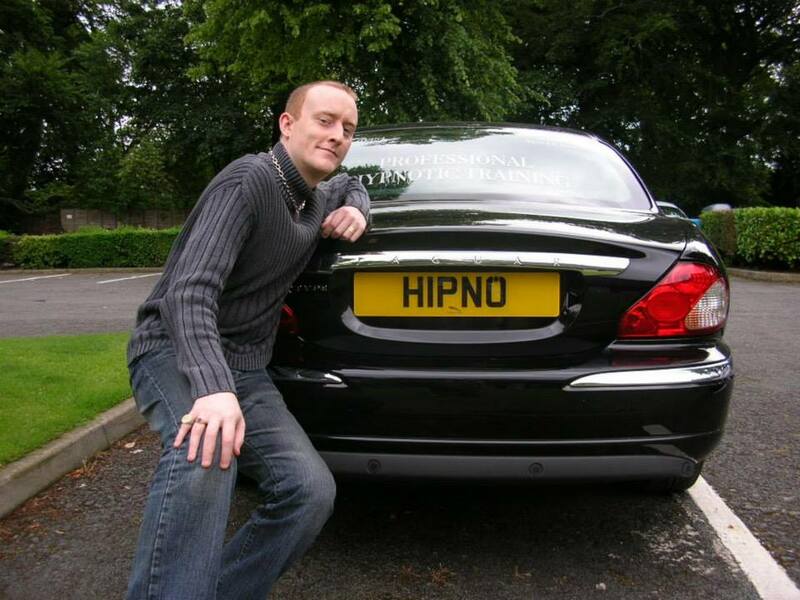 I know that I may sound biased, given that I am one of the FIVE Different Hypnotists featured in that package, however as I say the Testimonials speak for themselves and it is my experience of having researched every product on the market that THERE IS NOTHING THAT COMES ANYWHERE CLOSE to covering all the Potential Dangers, Legal Issues and Health & Safety Issues available anywhere in the world today. And with that in mind, there is genuinely nothing else I can sincerely reccomend for you to reccomend that your students/customers study BEFORE they are ever let loose on attempting to Hypnotize any member of the general public anywhere in the world. Anyhow just some Food for thought and Free Advice for you there from someone who has arguably done more research on these areas relating to Hypnosis than anyone else in the world. As I say I’ll be more than happy to review your product for you, should you wish to send me a a review copy. Please read the following before practicing or performing any hypnotic demonstration. When performing Hypnosis it is your responsibility to monitor your subjects for their health and safety. This program is not intended for Hypnotic Therapy or Hypnotherapist Sessions. Legal: You are responsible for checking and abiding by all local, state, federal, and laws of your country for applicable laws regarding the performance of Hypnosis. Do not practice or perform Hypnosis until you are fully aware of these laws. License: Obtain any required licenses before practicing or performing Hypnosis in your country. Liability: Obtain all necessary liability insurance before performing Hypnosis. This is not always covered in performers insurance. Safety: Do not attempt to perform any demonstrations that can put your subjects in danger. Do not attempt to hypnotize subjects that have psychological issues, post traumatic stress syndrome, or medical conditions. Make sure your subjects are seated when you perform the induction so they are not at risk of falling. WELL DONE PROMYSTIC = Yes indeed when I noticed that they had clearly followed my advice to look into things more and as a result had added the text above to their sales page for the product, even though I (in my personal considered opinon) do not feel it is comprehensive enough in terms of abiding by their “Legal Duty of Care” at least it is 95% of the way there! BUT THEN THINGS WENT SOUR AGAIN = Some time passed and then the product (Flex5 System) became available again and so my wife purchased it me for a present. was confronted with a link to download a short PDF Ebook. At this point she decided to tell me she had ordered it for me and that unlike when I ordered it (and then got refunded) there was now an instant link to download a PDF Ebook. 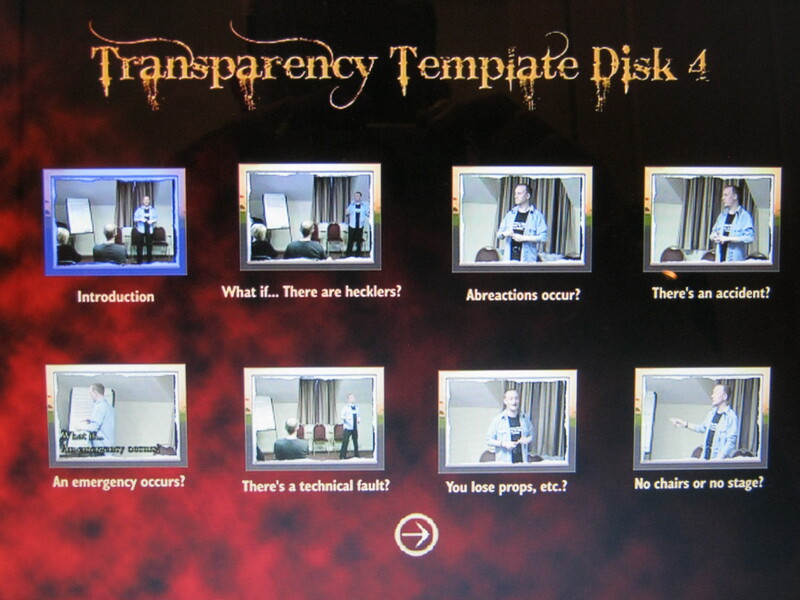 01) The So Called “Fail Safe” effect entitled “Out of Your Mind” which is supplied as part of the package is VERY SIMILAR INDEEDto approaches that can be found in Old Kenton Knepper Mentalism Publications and also can be seen in some of my DVD training products from well over a decade ago…. 03) Some of the advice in the PDF which I have seen (especially relating to Abreactions and how to deal with them) is frankly in my opinion and vast experience, in the manner it is detailed could POTENTIALLY MAKE THINGS WORSE in the longterm for the volunteer who Abreacts! Therefore, the student is at the complete mercy of the product creator (the teacher) and must believe what they are being taught is correct, responsible, honest, and safe. If they don’t believe that from the beginning they won’t use their new found “skills”. But if the product is convincing enough, BINGO – you’ve got a lot of “trained” idiots (through no fault of their own) replicating the mistakes (laziness / stupidity) of their teacher. Now this might be fine when magicians want to learn card tricks, but I wonder how many of them would risk their own safety learning fire eating from a 1 hour, £20 training DVD? Probably not many! But it seems that there is no emphasis on the responsibilities towards the public that are passed on from Teacher to Student in some products. Magicians and Mentalists are being “sold” the art of hypnosis as just another trick to add to their repertoire without being told the potential consequences. Further more, because of the way it is advertised, and taught, they have no respect for what is, in the hands of a partly trained idiot, very dangerous! 20+ Years ago Magic and Hypnosis were two completely separate art-forms. Any standalone hypnosis training product that doesn’t cover Abreactions, the Use of Safe Locations, Assessing Risk, etc to a responsible level should be banned! You wouldn’t be allowed to sell a product teaching Scuba Diving that didn’t consider the potentially lethal issues within the training. There are already far too many idiots who think that they know how to hypnotise someone, but in reality all they have learnt is a fraction of what should be taught. Inducing a Trance-Like-State and giving a few “suggestions” is the easy bit! But once they see the effect of this “power” they can easily get carried away… and if they are not warned of the dangers, ego gallops far ahead of safety and responsibility. Quite frankly I’m surprised that no one has been seriously hurt, or that it’s been covered up so well if they have! I’ve seen street hypnotists perform in some very dubious locations, dropping people to the floor without any consideration for their victim’s safety (yes, you read that right – “victim” – the subject of a street hypnotist), and then because they had such a great reaction from their “audience” they let their ego take over, and give their “power” to everyone else, without any consideration to the subject. It’s human nature not to like laws, rules and regulations, especially those that restrict our enjoyment, but it’s not in our nature to want to cause someone injury or distress. But if we aren’t made aware of the potential for injury, and are told (or lead to believe, at least through omission) that it’s 100% safe, then how are we to know of the issues? But that has to start with the teacher! HE RAISES SOME GOOD POINTS..
Aside from which as a Teacher and Producer of such a training item there is a LEGAL DUTY OF CARE to abide by as is covered earlier on this blog posting..
A Hypnosis Theatre Show That Was Fast Approaching 20 years ago! 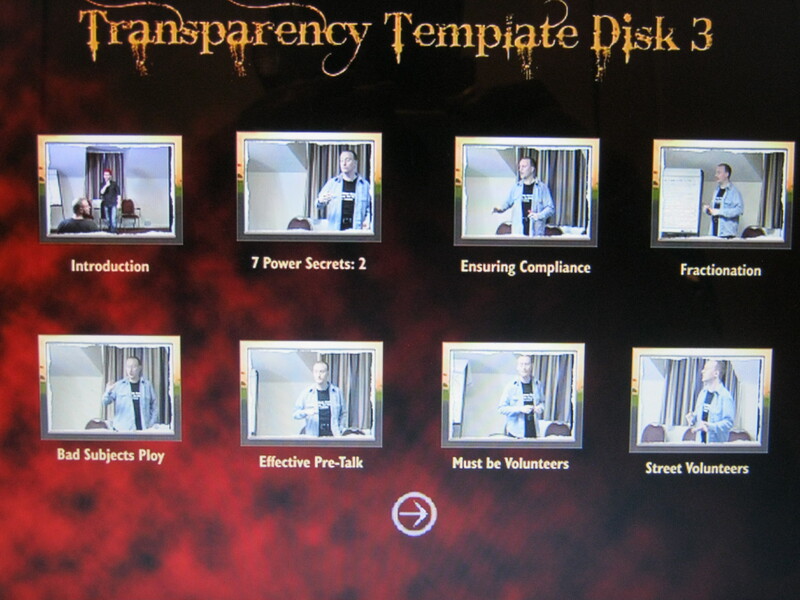 DVD Training Set via various Magic Dealers. To cut a long story short I raised the same Five Questions to Spidey as I had asked Craig Filicetti and ProMystic to answer and which appear earlier on this page. Bedros Spidey Akkelian Hey man! Thanks for the comment, you seem really well educated on the subject and for the record Ormond’s “New Encyclopedia of stage hypnotism” remains the best source for learning stage hypnosis. bar none! As for your 5 topics. These are not addressed and here is why. 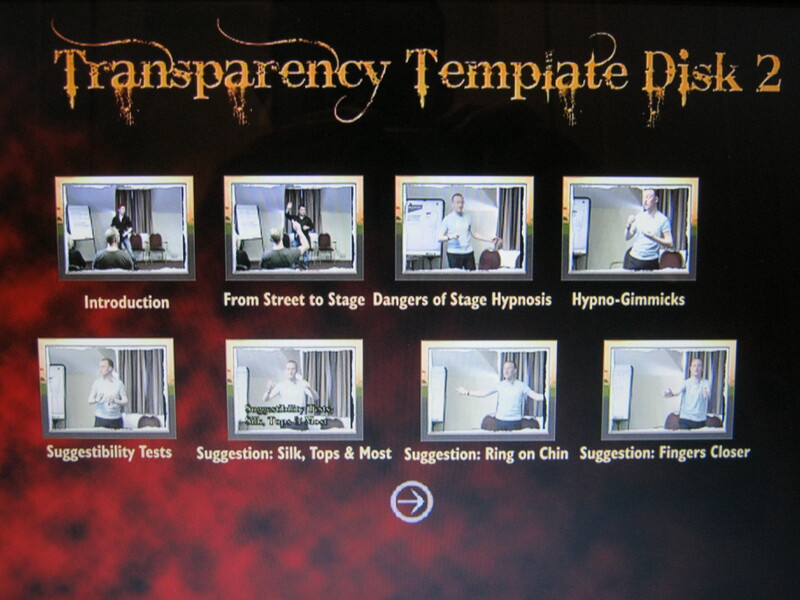 The DVD teaches you how to perform stage hypnosis, not how to start your career as one. There are tips on trouble shooting and making sure that all subjects come out of it feeling great! But the legalities and insurance stuff is all part of the business side of things. I own a lot of cook books, not one of them touch up on the licenses I need in order to become a chef nor do they list the dangers of buying a knife. I am providing the tools and knowledge, it is up to the serious student to look into taking the steps to making this into a career. Whoops thats a real shame dude! What you seem to have just admitted to is saying you’ve completely ignored your Legally Required Duty of Care when making the product? The Legal duty of care that says when teaching somebody something (skill, technique etc) that you have a legal duty of care to ensure you also make them aware of any and all potential dangers and consequences etc they may face by going forth and using the technique/s and methods you teach them? All of the things I mention arguably come under “Duty of Care”..
Those comments (which in my considered opinon and experience arguably DO NOT cover the duty of care laws enough) are at least 95% of the way to covering the producer and retailer of the dvds against any potential Negilgence and lack of duty of care claims and such like.. I also replied to Spidey again by basically posting pretty much all of the information and facts that have appeared already on this page and at the time of posting this blog I can confirm that I have not as yet recieved any further replies from “Spidey”. Who knows perhaps he will at some point make a comment below here on this blog when I post the link to this on Facebook? Anyhow as a final example, lets mention the names of Fraser Parker and also Lewis Le Val, both of whom are Magicians/Mentalists that have added a bit of “Hypnosis” and “Suggestion” work to what they do and both of whom are releasing books and ebooks to the world of Magic and Mentalism teaching their “Hypnotic Style”, “Hypnosis” and “Suggestion” techniques, approaches and routines. Excellent choice Dr Spektor, I love Erique’s work! If you have any questions fire away or pm me anytime. it is not Hypnosis as all Hypnosis is Purely Suggestion! Hi gentlemen, thank you for your support, I’m glad you like the book! I’ve had great feedback so far and had some nice emails from performers detailing their experiences using these techniques. If you can’t decide on that what chance is there of you covering in enough depth all of the things which “Duty of Care” requires you to do, those things outlined in this blog.. So having covered the example of Lewis Le Val, I’ll turn finally and breifly to Fraser Parker and quote a section from the advert for his “True Mysteries” Book and DVD Set. The seeming ability to achieve all of the above is now possible WITHOUT the need for hypnosis, stooges or instant stooges. The DVD contains over 2 hours of content including, as a bonus, Fraser Parker’s personal hands-off solution to the legendary Berglas Effect (any card at any number). As well as the instructional DVD, you receive the full reformatted version of Fraser’s now impossible to find book (also called True Mysteries), which explains even more effects and work. There is also a bonus eBook on the disc which contains some never before seen material from Fraser’s repertoire. a different source as well. Anything that can potentially alter a persons perceptions of what may or may not have taken place by using SUGGESTIONS is arguably Hypnosis and thus is also covered by the VERY SAME LAWS..
You can save yourself a ton of money and learn how to do everything that is taught in the products mentioned on this page along with tons of other stuff INCLUDING HOW TO BE TRULY SAFE & LEGAL IN ALL MANNERS by popping over to the link I gave you earlier of http://www.elitehypnosisbootcamp.com/freebook/ and grab your Three 100% FREE PDF Professional Hypnosis Training Manuals. Be aware that although the above link applies to England, there are regualtions concerning Stage/Street Hypnosis in other places around the world, some directly mention Hypnosis and others are just general laws that are relevant and need to be abided by but may not directly mention Hypnosis.. 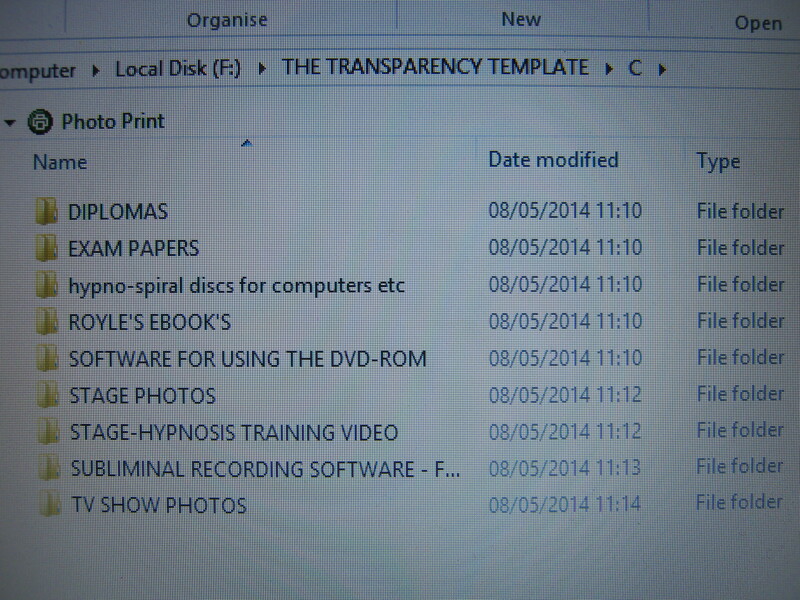 NOTE: I am more than happy (currently at no charge) to take a look at any DVDS, Books etc that people are thinking of releasing to the Magic and Mentalism Market in order to advise you what needs to be added (if anything) in order to abide by your Legal Duty of Care. Encourage your customers to download AND STUDY all 3 of the books from that link and you will be very close to having fullfilled your Legal Duty of Care Obligations! 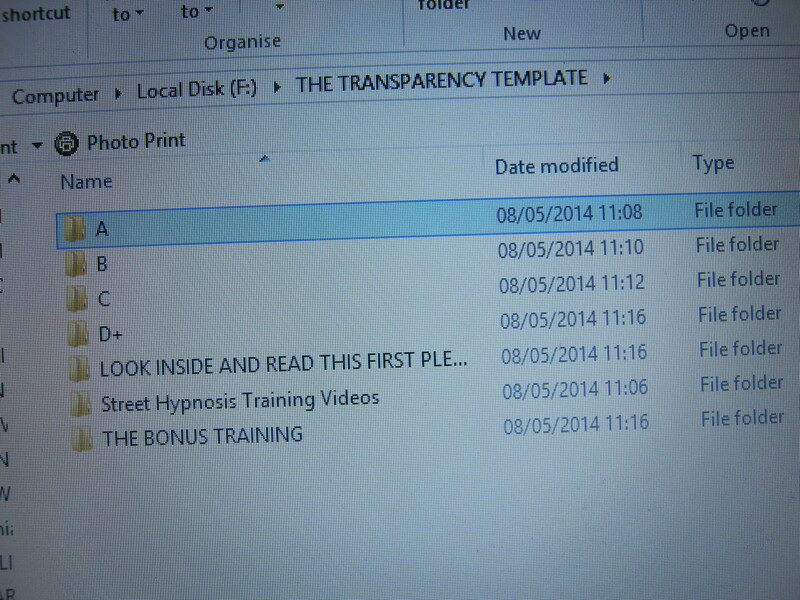 Hypnotism Training Package available from anyone, anywhere in the world today..
For the record the reason my numerous Hypnosis Training Products DO NOT have warnings on the adverts like those examples given earlier is because I know that the contents of all of my products abide 100% by all Duty of Care and also all other relevant Laws in all Manners! Finally let me say thanks for reading and PLEASE DO SHARE THIS BLOG PAGE LINK all over the place with people who you think would do well to see it and let’s all make the world of Stage Hypnosis and Street Hypnotism SAFER..